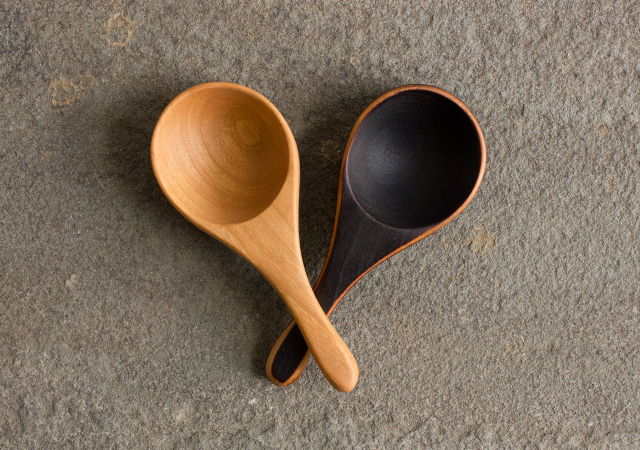 For Jonathan Simmons of Jonathan’s Spoons, running a cottage industry that creates and sells handcrafted, natural wood products is more than business. It’s an extension of his personal philosophy, which prizes independence and fair trade over all. If the emphasis on spirituality in a capitalist context seems odd, Simmons is comfortable with the incongruity; his father was a pastor in the Swedenborg Church who would remind his children that life is best enjoyed when utilizing the bounty of nature in a meaningful way while acknowledging the greater power that provides it. Jonathan Simmons – Photo credit: Arts Business Institute. “It’s very satisfying to have things out of my imagination be created in the physical world,” Simmons added. 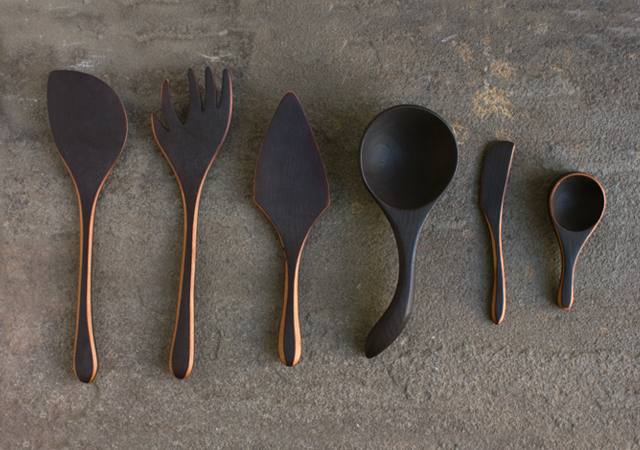 The pastor’s son was serving as an apprentice to a furniture maker in the mid-70s when he created his first wooden spoon, a matter of necessity because he had forgotten to pack a spoon in his bag lunch that day. It would be a few years later, while casting about for ideas for his own business in Maine that Simmons flashed back on that simple moment of invention. 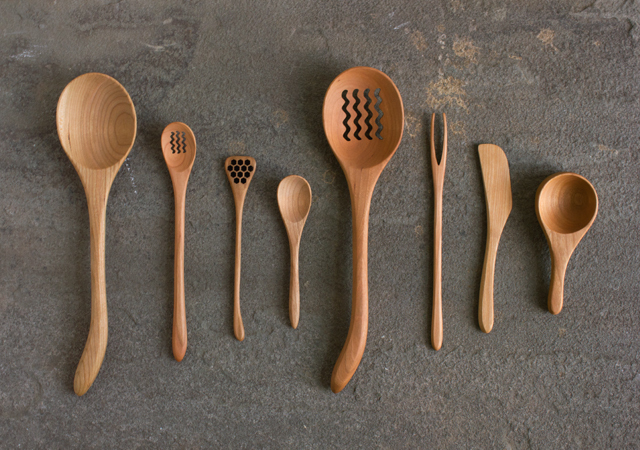 By 1979, Jonathan’s Spoons was a bona fide business based in Kempton, Pennsylvania, where native hardwood is plentiful. 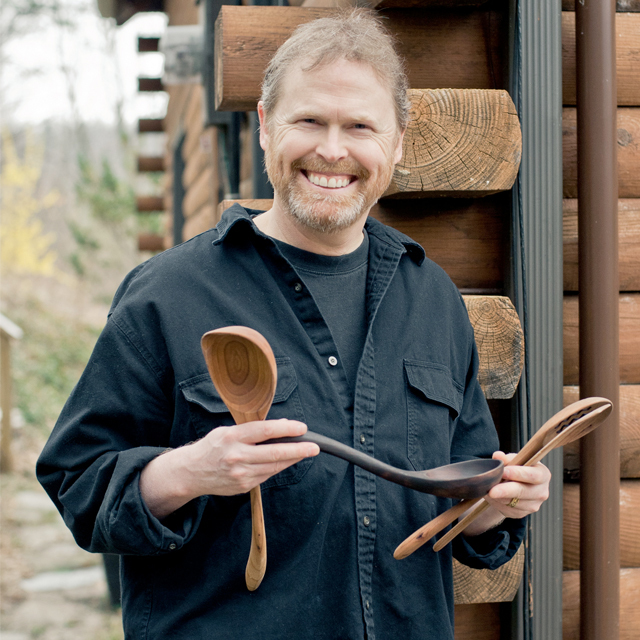 Originally, Simmons crafted his spoons from lilac, plum, and honeysuckle woods. However, he found cherry wood to be best suited for its durability, color and grain. 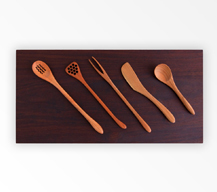 Soon, his spoon product line had grown to include spatulas, tongs, spaghetti forks and spreaders, rendered in the Arts and Crafts style. 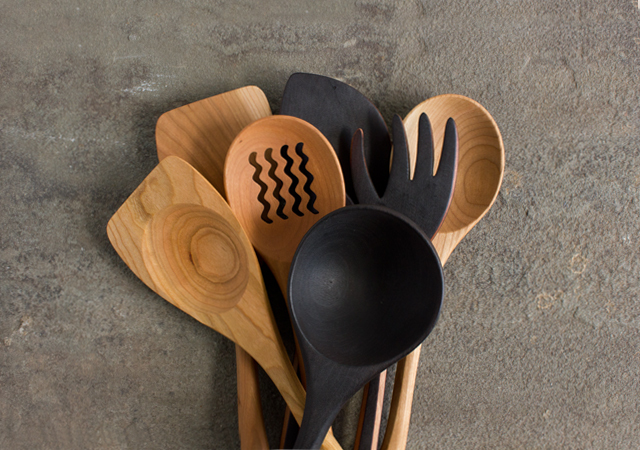 He even features spoons for left-handed chefs. Working conditions at Jonathan’s Spoons reflect the sensibility of the founder. Of course, all hands must be on deck in the early fall to fulfill Christmas orders. Directly after the holidays, the workshop is again at full tilt, creating inventory for the wholesale season and trade shows. 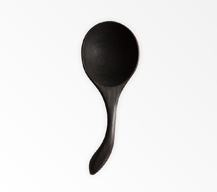 Seven years ago, Jonathan’s Spoons faced its first full-on crisis: a former employee launched a line of knock-off spoons. While Simmons initially tried to stop the competitor, he decided to withdraw from the battle. 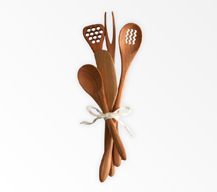 Good fortune, he said, unexpectedly intervened; kitchen guru Rachael Ray gushed over Jonathan’s “Original Lazy Spoon” on a televised segment and sales doubled overnight. Prone to understatement in his work, Simmons doesn’t emphasize that he only uses wood harvested through sustainable practices.